Complimentary parking in the Margaritaville Resort parking garage, 245 Front St. Present parking ticket to your server or the host/hostess for validation. Groups up to 20 people welcomed. Please contact restaurant for details. Located on the secluded island of Sunset Key, just an 8-minute boat ride from Key West. 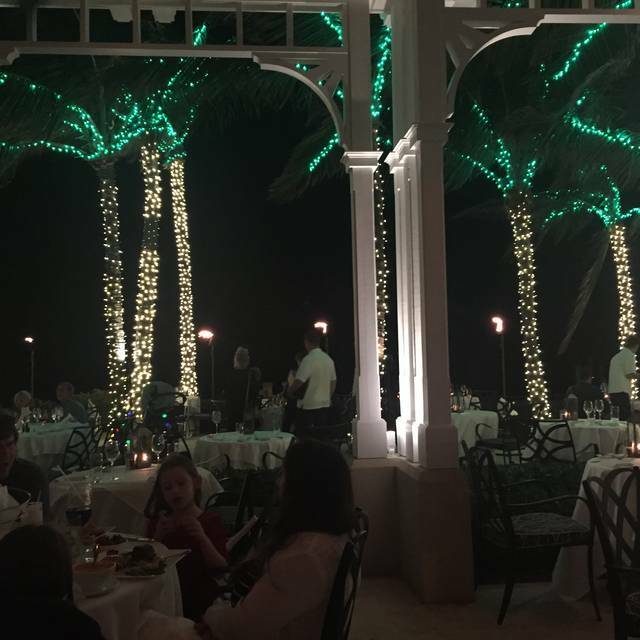 You’ll dine on exquisite island cuisine served indoors or alfresco, both with breathtaking views of the Gulf of Mexico, palm trees and tiki torches illuminating the night sky. A most romantic setting and exquisite view of sunset. Advance reservations are required. Your reservation time is actually your boat departure time on one of our private boats located at slip 29 in the Margaritaville Resort Marina, 245 Front St. Please arrive 5-10 minutes prior to check in with our boat hostess. In the event of inclement weather, reservations may be delayed due to limited indoor seating. Dress Code is resort casual, collared shirt, shorts or slacks for men -no tank tops; casual dress, shorts or slacks for women. No beachwear please. 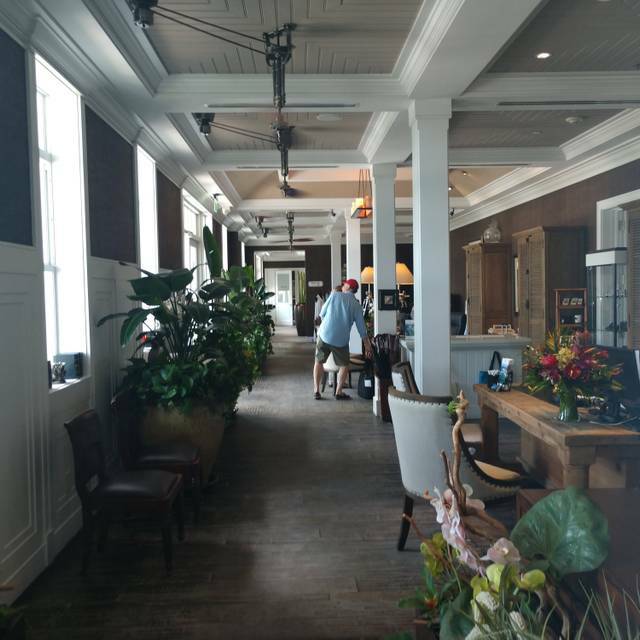 For the privacy of the island residence and resort guests, we ask that restaurant guests remain within the restaurant building and dock areas. The ambiance was incredible, from the boat ride to the outdoor patio with romantic lighting. The wedge salad was fabulous; I thought our entrees were just okay...and the key lime pie was delicious (one piece was plenty to share). Service was excellent. A wonderful experience. The evening starts on the boat that transports you to an island a world away from the mainland. The view from our table looked out over lit tiki torches to the open ocean. Food and sEric were exceptional. We came after dark.....for sunset view, book weeks in advance. Very nice food and service, outstanding view. Excellent service and the meals were wonderfull. Bit windy this evening sitting outside, but worth it. Sunset was marvellous. Beautiful property, venue, and, delicious food. The only advice is.. if it’s warm and the sun hasn’t set or won’t be for awhile your better off eating indoors. The sun is very strong and can get uncomfortable ! Seriously an amazing restaurant. One of the most scenic places I've ever been and the food and drinks were great as well. Will be going back next time for sure! I had my family from out of town with me, for their first "dining out" on their Key West vacation. We had an outside table on the beach, looking out on the water, pelicans and dolphins. Our waiter, Eduardo (or Eddie) was super knowledgable and cordial concerning the menue and the ambiance of his restaurant. All four of our dishes were excellent. The craft cocktails were wonderful. I look forward to returning to this restaurant on Sunset Key! M.A. 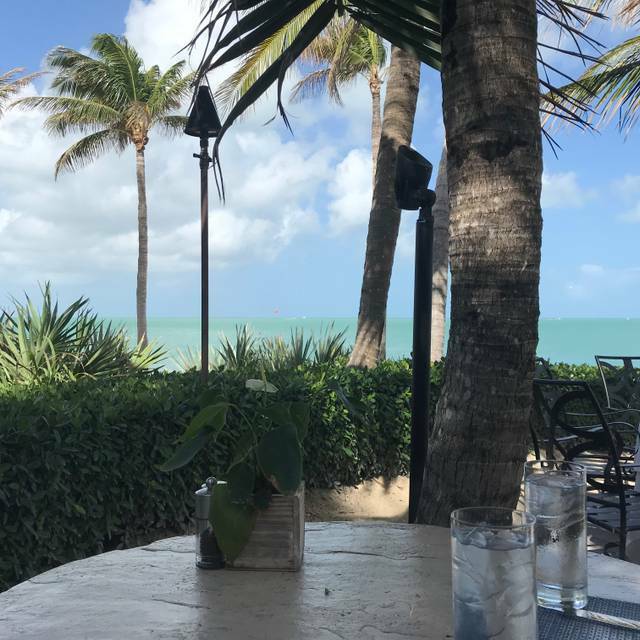 We went out to sunset key for a little Sunday treat. The weather was perfect and our food was amazing! We had a wonderful time and will be back very soon! Great food and amazing view! Had the lobster bisque and steak salad. Bisque had lobster in every bite and a rich, buttery flavor. I can say it was the best I've ever had. Steak on salad was melt in your mouth good. Salad was fresh and dressing was delicious. Loved the atmosphere and the food was amazing! The service was impeccable. The drinks were phenomenal. I had the seared tuna over salad greens daily special and it was good but really nothing exciting. The desserts are terrific! 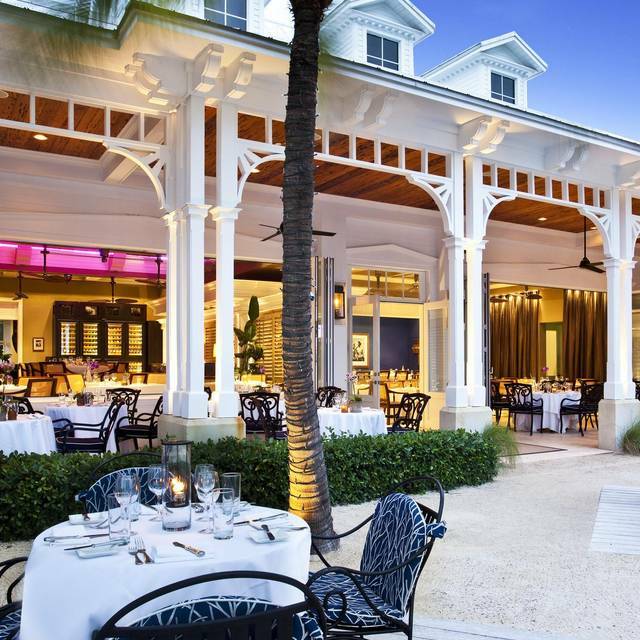 Amazing meals at a beautiful setting in the keys. It is a gem right off Key West in a little island called Sunset Key. Kudos to the executive chef! All of the flavors were so delicious. It is a must experience and the Sunset was beautiful. My husband and I went for our 3rd visit at Lattitudes and were not disappointed. It was a delightful luncheon! We loved it. We had breakfast at latitudes, the setting is simply stunning! Food is great but the highlight is definitely the view and setting. Highly recommend!! Wonderful ambience, service and food. Visited on recommendation from a friend. We were seated for lunch on the patio. Wonderful setting and view. The drinks and our meals were top notch as was the service from Michal and other staff. An upper end restaurant but worth it. We’ll be back next time we come to Key West. This restaurant was simply gorgeous and elegant. The weather was supurb and our waiter Dan was incredible. We will go back there again some day. This was our third visit and we took friends that had never been there. Exquisite. The service was quietly excellent. You were being taken care of and didn't realize it. We will return. What a special place for a meal...everything about it makes it fabulous. The boat ride to Sunset Key is a great start to a delightful experience. Food is GREAT. Service is attentive and friendly. Views can't be beat. Yup: we're loved it. Beautiful setting and great breakfast. Good value and a free boat ride! Phenominal atmosphere, Dan was an attentive server who really made our two meals there even more awesome. I felt really pampered and fortunate to be there, and the food was all really delicious and unique. I hope I get to be there again someday, really was high points of my vacation. 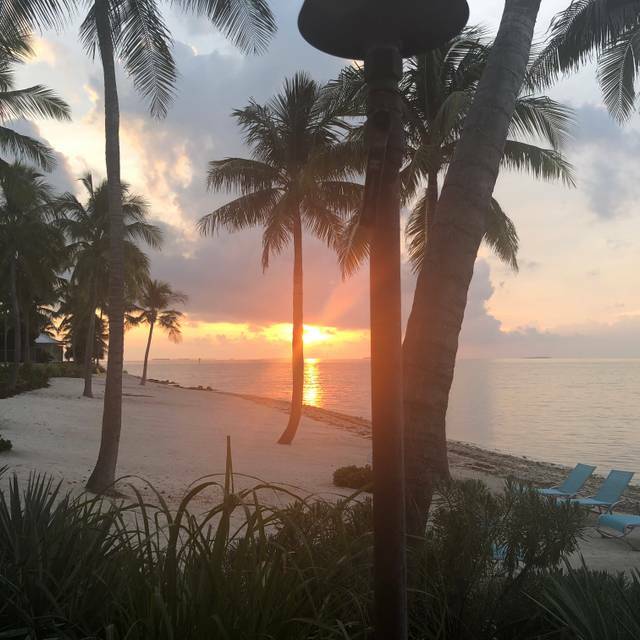 Beautiful setting for a special dinner while vacationing in Key West. You take a ferry across to Sunset Key where you enter the restaurant. 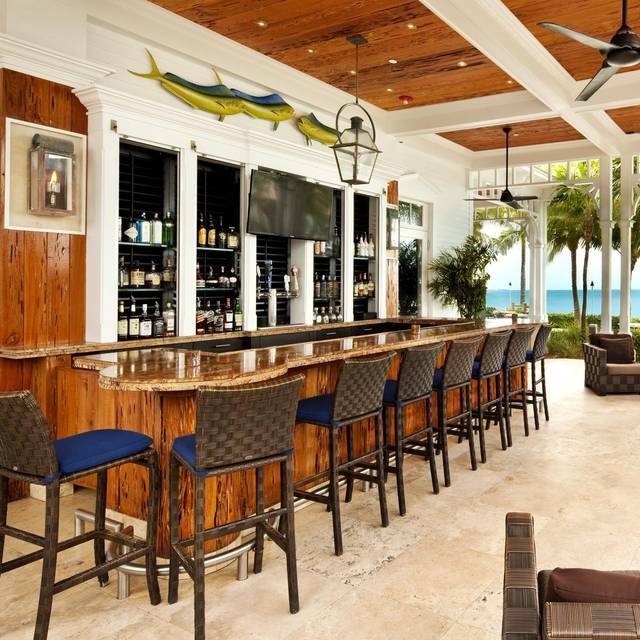 There is a nice outdoor bar, patio seating overlooking a beach and indoor seating. We were sitted inside due to rain. Service was outstanding, drinks were great. I had a Blood Orange Martini from their coctail menu. The presentation of the meal was perfect. My husband and I shared the beet appetizer and it was delicious serve with a soft cheese and almonds, we both ordered yellowtail snapper for our meal. We really enjoyed the fish but we had better at other restaurants. Dessert was great and came with a sparkler on top for my birthday. Michael was a great waiter. Signature Martini was wonderful. Food was excellent and we lucked out with table to see fantastic sunset. We were very happy dining here. The food was excellent but it was the outside seating watching the sunset made the dinner. Great sunset view. Food excellent. Staff attentive. Do not go by dress code as advertised. Plenty of people not following their dress code. Gets s little crazy at sunset with everyone rushing to take their sunset selfie. It’s was a lovely dinner!!! Everything was great. I was not please with having only 1 vegetarian option. 2 would have been perfect. 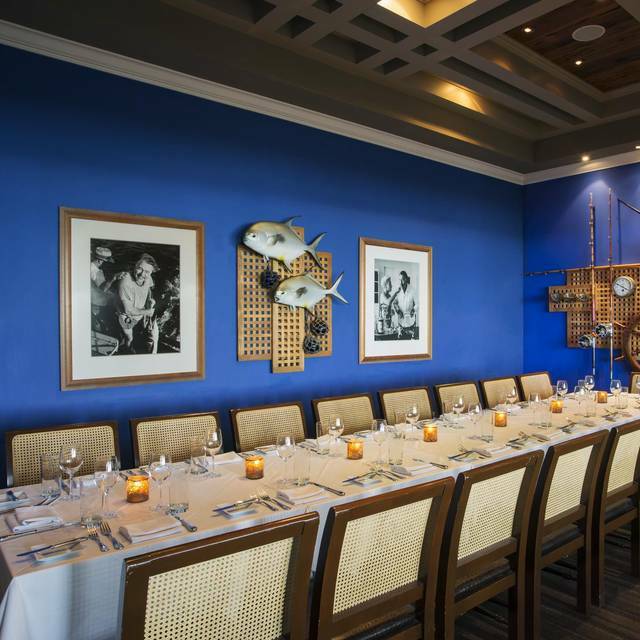 Latitudes consistently offers an exquisite dining experience, memorable both for the top-of-the-line cuisine and the memorable seaside ambiance. We have been coming here every winter for over 10 years and are always happy with the delicious menu choices and the courteous and competent waitstaff who treat us snowbirds as if we were royalty. Don’t let the menu prices or the need for a reservation discourage you. 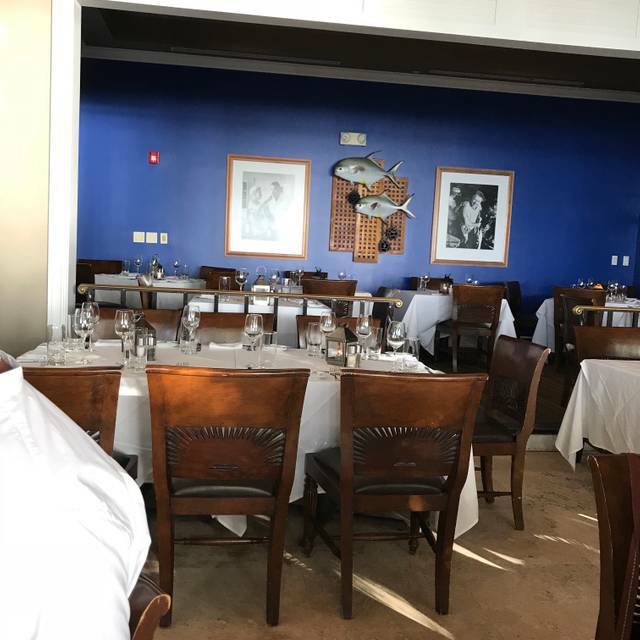 When you consider that the cost of a round trip water taxi ride across the Key West Bight plus three hours of parking in a covered parking garage are included in your restaurant tab, the fabulous food you’ll be having is a great value. An added bonus that we just discovered this year is the kitchen’s willingness to accommodate any special diet modifications. Our server used his cellphone to show us a list of ingredients in the white balsamic salad dressing which eased the concern of a lactose-intolerant diner at our table. Very professional and considerate!! Beautiful view while eating a delicious breakfast. Peaceful surroundings. The omelet was awesome and the staff is friendly and attentive. The boat ride over is just as peaceful as the island with a friendly staff as well. We had a great time and a terrific server. The food was outstanding. One suggestion would be to more clearly identify in your on line presence that your reservation time is the time you are to catch the ferry. We would have liked to come out and sit at the bar for awhile before our reservation and were not permitted to. We truly had the best time celebrating our one year wedding anniversary at Latitudes - we are so thankful friends of ours recommended this place. Everything was perfect... from the ferry ride over, to the sunset, meal, dessert and drinks. It is very open, but feels private. We hope to get back one day soon! Fantastic secluded spot .. worth the quick ferry ride over. A must if visiting Key West! We absolutely loved this restaurant and the location is unparalleled. 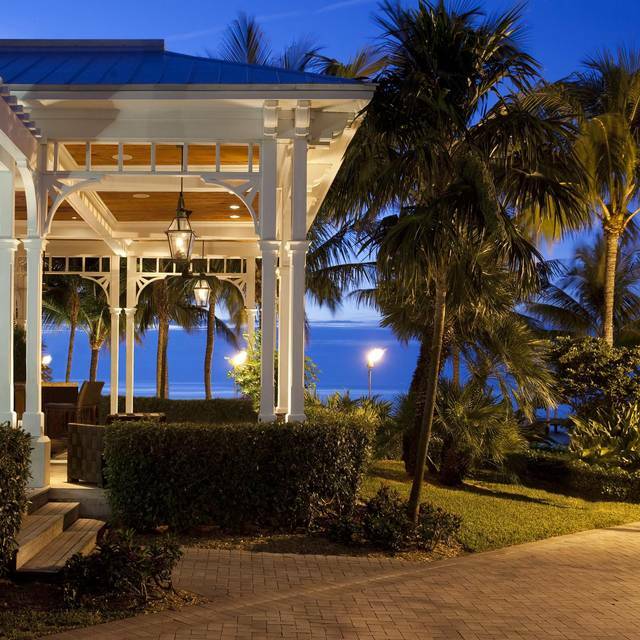 It takes you away from the dirt and noise of Key West to an exclusive resort feeling place. Taking the short ferry ride was a thrill and the service was impeccable. We had a 10:15 breakfast reservation which meant that the boat departed from the Margaritaville Resort at that time where you can also park for free (4 hours) as part of the reservation deal. Fabulous evening, dinner reservations made for sunset view. Missed our boat, called the restaurant and they said no problem. We had a table on the edge of the patio, perfect for enjoying the sunset. Michael was our waiter and we couldn’t have asked for better service! Food was excellent! We were celebrating our 28th anniversary and it exceeded our expectations!!! Will definitely return! !